Even though I am not particularly good at sports, my favorite part of Grace’s programing is Athletics. Since freshman year I have played on the tennis and softball teams. It has been a part of my schedule almost every school day since. Not only does joining a team let me opt out of P.E. and give something extra to put on a college application, it is the best part of my day because of the team spirit, friendly competition and beautiful forest hills tennis courts. The only issue with being on the tennis team was that we have to take a 45-minute train ride to practice and matches. We play at The Forest Hills Tennis Club, located in Forest Hills Queens. It is a long ride especially when it’s 7:00 pm and have tons of homework to do when we get home. However, Forest Hills is a really interesting place to play tennis. It was founded 1892 in and used to be the site of the U.S. Open for many years. Forest Hills looks very different when in comparison to Astor Place. When the team walks out of the subway we find ourselves in a completely different world than the one we walked into. Instead of tall apartments with tons of windows, there are wide Tudor style houses and tons of trees and grass. Once during team training we had to run around the neighborhood, and the neatly paved streets and cute little houses went on forever. 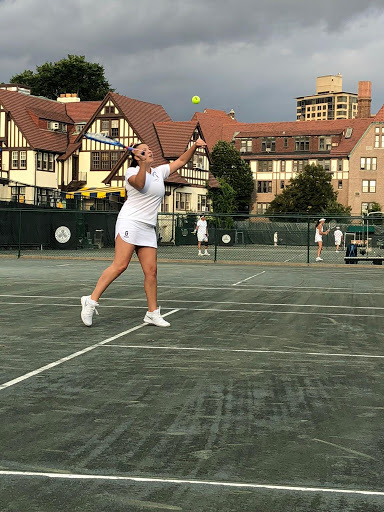 We play on courts next to the famous Forest Hills stadium that in addition to hosting the U.S. open and has hosted many famous musicians such as the Beatles, The Rolling Stones and most recently Van Morrison. 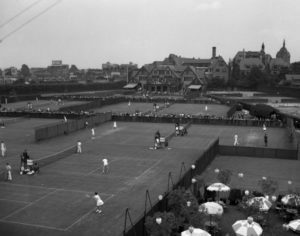 It is nice to have a break from lower manhattan’s buildings to play in such an iconic, well kept, and open tennis club. 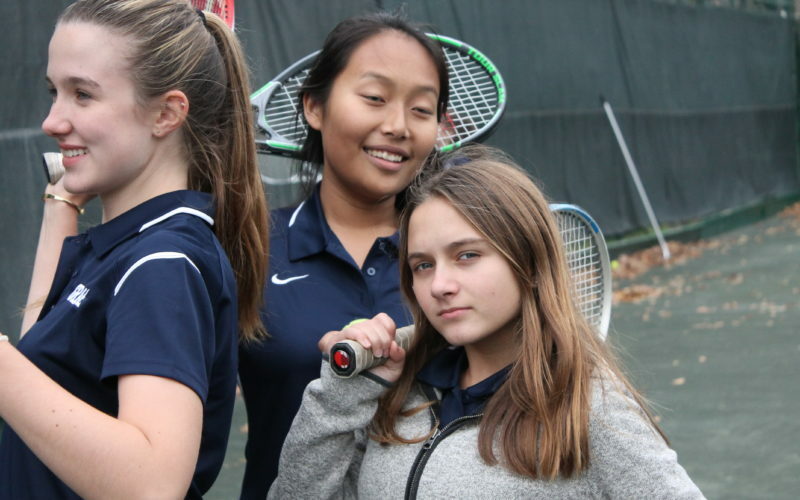 As a senior, now that I have finished my last season of tennis on the Grace team, I know I am going to miss the 45-minute train rides and walking through the gates of The Forest Hill Tennis Club and practicing tennis with my team.